At Dallas Cosmetic Dentistry, we are proud to deliver the best oral healthcare to our patients, while also providing progressive dental services to the entire Dallas area. An important feature of our mission is to be mindful of break-throughs in medical technology – studying fresh and emerging wellness solutions that are most useful to our patients, ensuring that you receive the most effective, least invasive, dental care possible. 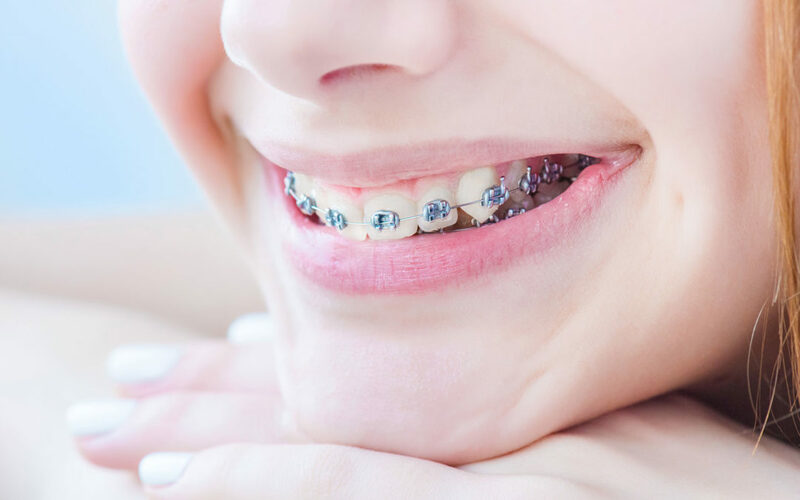 If you are living with crooked teeth or an uncomfortable bite – you may think that old-fashioned braces, or major surgery, are the only options to restore your smile. While wire braces and dental surgery are each effective treatments in their own right, we believe that we can offer more. As Dallas, Texas’ leading Family and Cosmetic Dental practice, Dr. Alhadef has refined treatment alternatives for patients who want better, quicker results, with a fraction of the discomfort. We meet our patients needs with – what we like to call – “Accelerated Orthodontics”. Accelerated Orthodontics is the practice of using (very) minor surgical procedures in order to get faster results from corrective dental treatments. In addition, accelerated orthodontics also relies on ground-breaking advances such as clear aligner trays (IE Invisalign) to maximize results. When performing accelerated orthodontics, your doctor will first surgically clear room around your teeth, so they are able to move to a proper position quicker and less painfully. Then, the dentist will fit you with their choice of a clear aligner tray program, that will gradually and safely move your teeth until they are a uniform row of glistening perfection. Dental aligner trays are – in essence – transparent “mouth guards” which apply a gentle amount of pressure to your teeth, correcting their orientation over time. Are aligner-trays different from traditional braces? Distinctive from conventional wire braces, aligners are transparent and removable. And, after twenty years of observing the result clear trays can achieve, doctors have noticed that the treatments are able to solve problems that might’ve required more complicated procedures..
How does accelerated orthodontics (with aligners) work? First, your doctor will perform minor surgery in and/or around your gums and jaw. This is to trim bone, and clear organic debris, which would otherwise block the movement of your teeth, or make other corrective procedures more uncomfortable. This practice allows for quicker results, and less discomfort. After this is completed, the doctor will fit you for dental aligner trays. Clear dental aligners achieve their outstanding outcomes by using a progression of mouth-fitted trays that will gently hug your teeth, guiding them to their correct orientation. Custom-made by your dentist using state-f-the-art 3-D crafting/printing, your dental trays will support a secure – yet comfortable – fit the first time you try them on. After wearing your first tray for two weeks, you will be issued a fresh tray to accommodate for the progress you’ve experience, while also encourage more improvement. Conventionally, this process repeats itself every couple of weeks for about one to three years. However, with accelerated orthodontics, you can be done resetting your teeth in as little as three to eight months! What does accelerated orthodontics cost? The cost of the surgery in the beginning will fluctuate from region to region and patient to patient – we recommend consulting with a dentist before making a price estimate. However, it may shock you to learn that the cost of Invisalign treatments are very similar to their outdated partner – braces. Dental aligners treatments are almost indistinguishable in price to metal braces even though they offer comparable results. Most traditional braces cost between $3,000 and $7,000; while aligner-trays can cost anywhere from $4,000 to $7,400. For perspective, “high-end” ceramic braces can cost almost 10 Grand! 1. How can I get accelerated orthodontics? It’s likely that you are already an excellent applicant for accelerated orthodontics. We recommend consulting with a member of the Dallas Cosmetic Dentistry to find out for sure. 2. Can I switch to aligner-trays if I already have braces? 3. Do aligners require “after care”? The Dallas Cosmetic Dentistry is ready to help you achieve the smile you’ve always dreamt of. Call us at (214) 368-2434 or visit us at DallasCosmeticDental.com to schedule a no-pressure consultation today!